This page will guide you to participate in this Special Activity – exclusive for our students and special guests. This way your mind will be free to think about the music, enjoy each moment and reach your best artistic result. Read this page carefully before you start creating your texts or recording your videos! There are some important guidelines for you to follow. So please read them before you start, to avoid double work. WeTransfer: use this platform to send us up to 2Gb files. Google Drive: the file size will depend on your available space (they offer 15Gb for free). Save your files in your Google Drive. Access the web drive, click on the file/folder with your menu button, and then on “get shareable link”. Copy the link and send it to your piano teacher. Dropbox: the file size will depend on your available space (they offer 2Gb for free). Save your files in your Dropbox. Access the web drive, click/open your file/folder, click on the share button, and create a link. If you’d like to use another platform to send your files, please check first with your teacher. Email, WhatsApp, iMessage, YouTube or Vimeo won’t be accepted for technical reasons. The form to enroll in the PianoClass in Concert is at the end of this page. We know it is a long page, but we’ve managed to make it easy to read and to follow each instruction. If not, please let us know so we can improve it. Where will the concert happen? 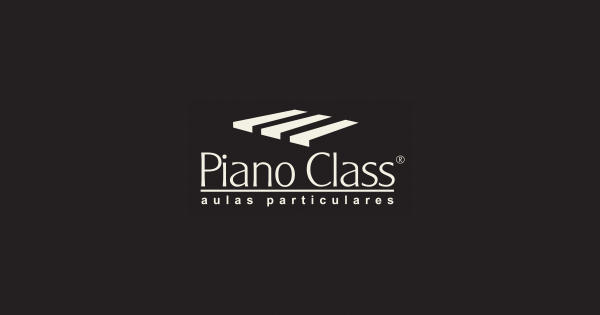 The PianoClass in Concert is pre-recorded by each performer and published via YouTube Live by PianoClass. So, the presentation will be available worldwide. There will be a private chat room (Hipchat) for all pianists and a live public chat (YouTube Live) to interact with the audience. Is there a dress code I should follow? If you want to wear a suit and/or tie, be our guest. The same way, dresses are well accepted. Oh! You don’t need to wear the same clothing to speak and to play the piano, but you can. Just follow the dress code for both recordings. Are there any technical requirements for the recordings? Yes. We do have some guidelines for you to follow and some technical tips to have the best possible result. Try to have as much light as you can for your recordings. Daylight is great, but if it brings unwanted shadows, just use lots of artificial light instead. The better lit your setting is, the better your image and visual appeal will be for your audience. Take your time to have the sound carefully tested to avoid distorted sounds from the microphone. If that happens, adjust your mic for a lower volume reception or position it farther away from the piano. If you don’t know how to make a separated audio file, don’t worry. Just record it along with your video. What is this spoken introduction? This will be your chance to connect with your audience, introducing yourself and your repertoire. Every audience (even family and friends) unconsciously (or not) asks itself: Who are you and why should I want to hear you playing this piece? Even the great musicians present their musical history to the audience. It may be written in a concert program or spoken, the audience needs this information to know the artist and connect to him/her. Tell us who you are and why you’re playing today. Think of what you’d like to hear if there was another pianist presenting herself to you and wanting you to listen to her playing right after. Try to make it as clear, simple and natural as possible. Paint the main ideas of your repertoire in the audience’s mind with words. You’ll be preparing them to better understand your music and therefore really enjoy it. You may present some short historical or technical facts, but be sure to have them connected to your own view and interpretation of the music. The most important aspect for this introduction is that the listener could see a picture in his mind, imagining the scenes you’re describing. Use words that relate to the senses (sounds, images, feelings, smells, tastes, lights, temperatures, …). Show a story instead of just telling it. Just avoid slang and dirty words, or any jokes improper to small kids, who will surely be watching you. Do I need to memorize a text? You may speak freely and then write what you said. Or, you may prepare the text and memorize it for the video. Or yet, you may read it, if you know how to do this without showing that you’re reading. Choose the option that makes you feel more comfortable, and shoot it. How about the setting for this video? Find a beautiful and peaceful well-lit place. If possible, shoot it away from the piano or, at least, in a different angle from that one you’ll use to perform your repertoire. Be sure your face is well-lit and that is not filling the entire screen. Let your torso appear too. Avoid cameras below or above your head. The best approach to position your camera is to pretend you’re talking to a friend about your height and place the camera where your friend’s face would be. Why do I need to send the transcript of my speech? As the PianoClass in Concert is presented worldwide, we provide subtitles in English and Portuguese. To have the translation and subtitle edition done without driving our team insane, a word by word transcript of your speech will be required. You may send it in any kind of text format file (txt, doc, docx, pdf, …). Speak loudly, but naturally, and clearly. Take your time to breath and don’t rush. If you have an external microphone (lapel mic, iPhone external mic, …) to place near you, use it, as the sound will be even better. How about the recording of my performance at the piano? We know you’ve practiced carefully, daily, and following all your teacher’s instructions. But even though, a little nervousness is normal when you know the time has come to show your music. It is even desired, as you’ll think faster and realize every detail of your pieces this way. So our advice is … give yourself lots of opportunities to record your best video. We are not saying you’ll need to record it thousands of times. You just need to accept that you may not be in your best mood every day or that you may have technical issues. So plan to have at least 3 different times reserved for that. You’ll probably make it right the first time, as the planning ahead will make you feel safer and calmer. But if it doesn’t happen you’ll have time to review, practice and do it again. Here are our guidelines to help you save time and make the best recording. Where should I place the camera(s)? Think about what you most want to see in a piano concert: hands and facial expressions. You may very well use just one camera for that. Position the camera at the side of your piano in a way the audience will be able to see your hands and your face. It is easier to achieve if the camera is higher than your shoulders and with enough distance to fit the entire keyboard. Feel free to improvise and add different approaches. Just remember to have at least one shot showing your hands and your face. Where should I place my mic(s)? If you’re using external microphones, testing is the best option to learn about its optimum position. If you don’t have much experience or a professional mic, just keep a safe distance from the piano to avoid sound distortions. How can I invite people to watch the concert? Do I need to do anything on PianoClass in Concert’s D-day? Yes, you do! There will be plenty of chatting to attend, compliments to receive and good music to listen to. 30 minutes before the beginning of the concert, we’ll open a concentration chat room just for the performing pianists. This room will remain open until 30min after the concert is over. Please, enter this room to chat with your fellow pianists and our teachers. It will be private, so we can talk freely among just the participants. There will be a live chat available to interact directly with our audience. It will be on from the moment the YouTube Live event is created until about 30min after the concert is finished. Be ready to write about your pieces, your experience and give thanks for compliments there. Reserve the time to watch the entire PianoClass in Concert and compliment your colleagues. Use this opportunity to learn about new pieces, different interpretations, and musical ideas. If you have a way to watch the concert on your TV set, call your friends to watch with you and transform this event into an opportunity to meet them! Just don’t forget to give your online audience some attention too. and celebrate your success with them! If you have any question about the PianoClass in Concert or any problems enrolling or participating, send us an email about it. We’ll add the topic and the solution to this page if it is something that may concern other students as well. As inscrições para este PianoClass in concert já foram encerradas. Agende-se para o próximo. Click here to view the PianoClass in Concerts that were already entered in our website and those already programmed to happen.